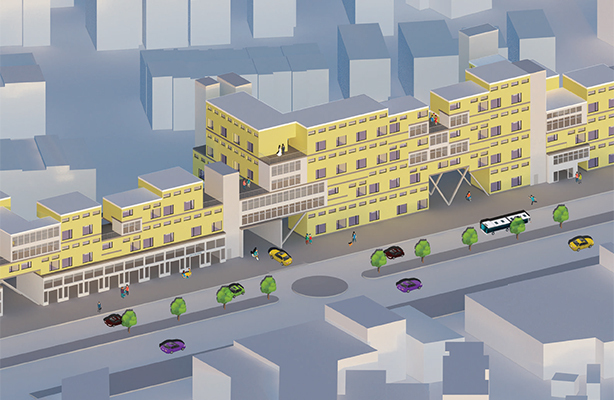 Ahmad and Mistry’s design, “CSBH, the Urban Village,” addresses a need in NYC housing. 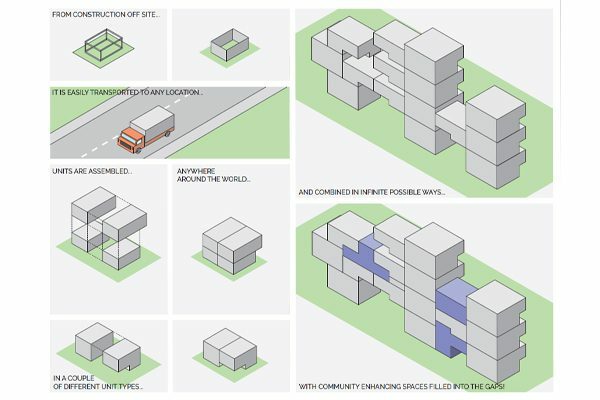 With modular unit types, CSBH has the ability to transform itself infinitely based on the needs of the residents. The units prioritize quality of livable space without boxing people into small studios typical in shipping container architecture. 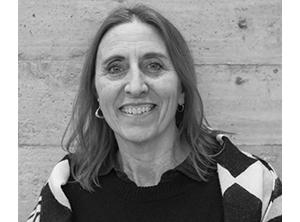 The project’s name is inspired by the historic Casbah of Algiers and its village community, which interweaves through roads, secretive pathways, and even the roof-top connections from one home to another. 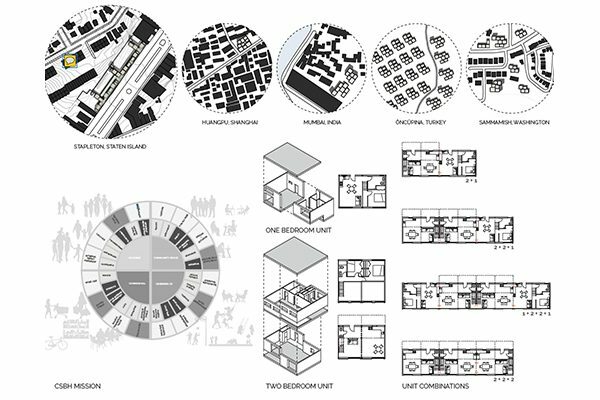 Created for the spring 2017 CetraRuddy Design Studio in Housing: Exploring New and Established Modes of Living and the Meanings of Home, taught by Professor June Williamson and focused on sustainable, multifamily housing, CSBH was conceived for a site in Stapleton, Staten Island. Its reach, however, extends far beyond its application there. CSBH can also provide a spatial solution to refugee housing, overpopulated cities like Shanghai or Mumbai, and especially fight back against urban sprawl that impacts so much of the American mid-west.